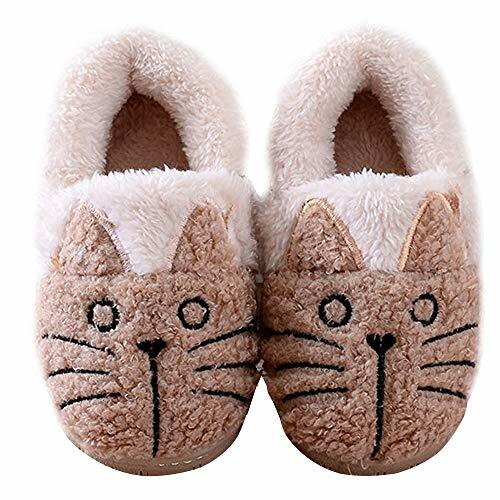 Cute cartoon cat shape design is very nice,warm and comfortable to wear for babys and kids in house. 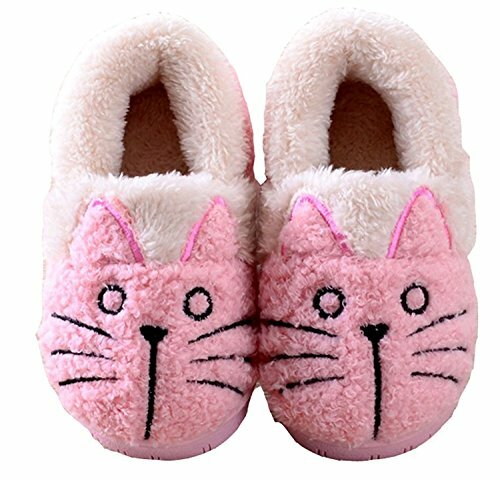 Cute cartoon cat shape design is very nice,warm and comfortable to wear for women and girls in house. Superior soft fleece plush fuzzy fabric,featuring ultra skin-friendly,lightweight,and extremely comfortable to wear. 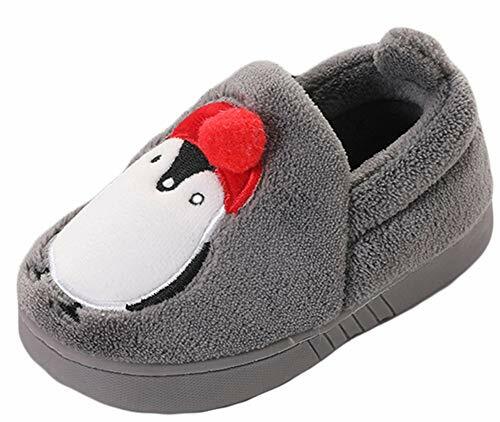 Cute Penguin Design:The unique Penguin design looks more lovely, They are also lightweight and not too bulky, perfect for wearing around the house. Anti-Skid TPR Sole£ºNon-slip weatherproof sole,no deform and no scuff to the floor. For you,get more safety guarantee,no falling down in your house. 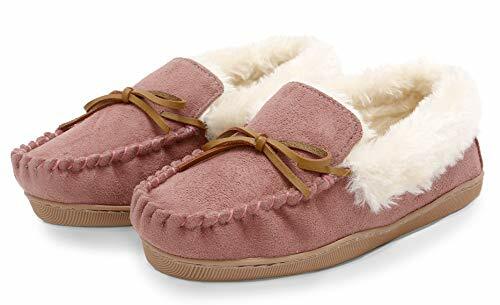 Material:95%Polyester,5% Spandex.Velvet uppers,superior soft fleece plush fuzzy lining,featuring ultra skin-friendly,lightweight,and extremely comfortable to wear. 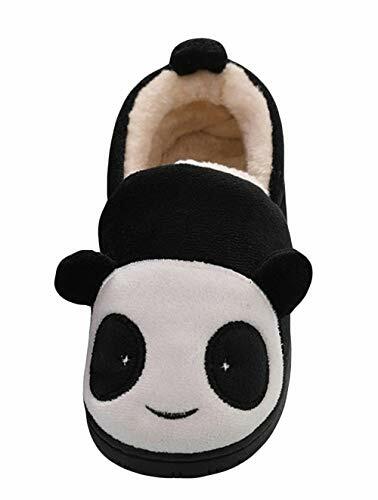 Cute Panda Design:The unique animal design looks more lovely, They are also lightweight and not too bulky, perfect for wearing around the house. Material:Superior soft cotton fabric,featuring ultra skin-friendly,lightweight,and extremely comfortable to wear. 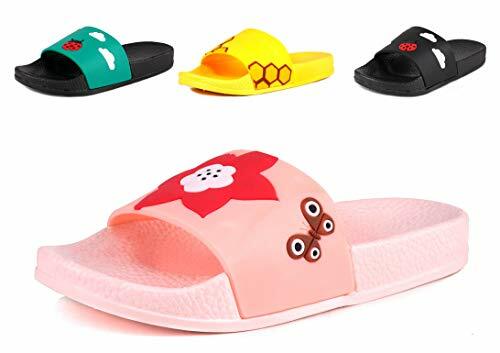 Cute Cartoon Design:The unique Cartoon design looks more lovely, elastic around the ankle keep the children slippers stay well. They are also lightweight and not too bulky, perfect for wearing around the house. 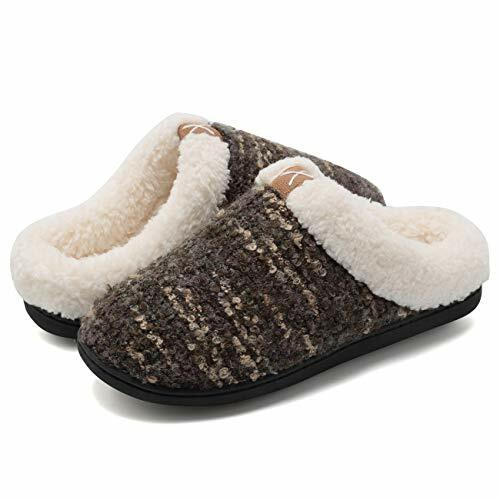 Superior soft fleece plush fuzzy fabric in both upper and lining,featuring ultra skin-friendly,lightweight,and extremely comfortable to wear. 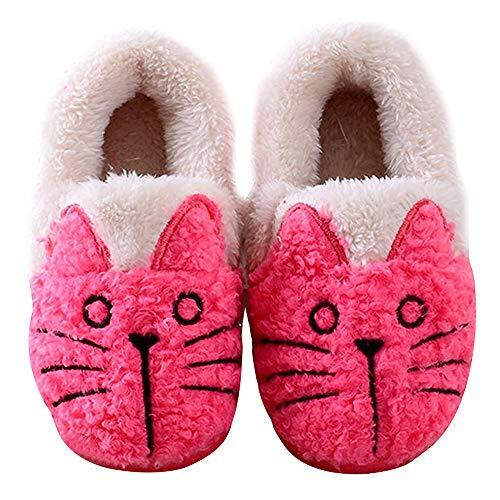 Cute Animal Design:The unique Kitty design looks more lovely, They are also lightweight and not too bulky, perfect for wearing around the house. Super soft plush inner lining, featuring ultra skin-friendly, lightweight, and extremely comfortable to wear all day. SIZE OPTIONS: SMALL(7-8); MEDIUM(9-10); LARGE(11-12); X-LARGE(13-14). Size up if you wear a half-size (e.g. 8.5, 10.5, 12.5) in men's shoes, have wide feet, or plan to wear socks. 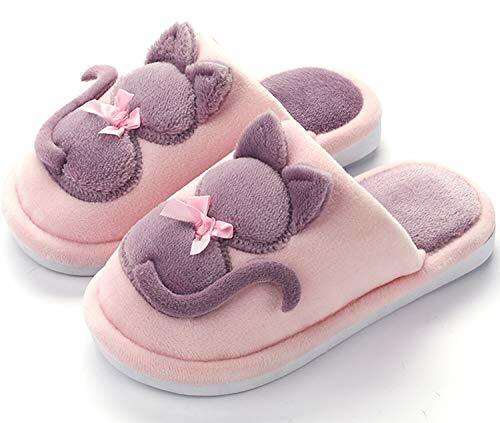 Also available in matching women's slippers (same fabric, different colors) for family and couples. 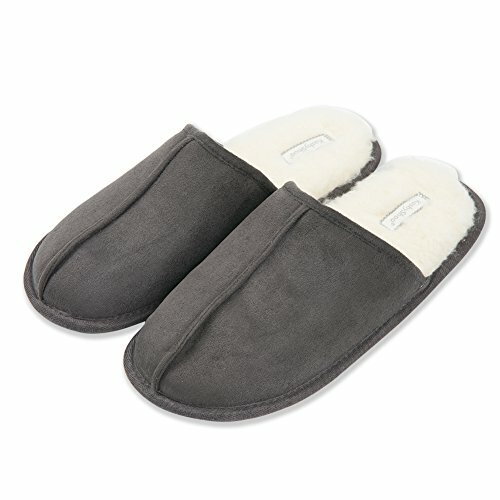 Fashion style indoor home bedroom office thermal slippers, durable and perfect for use in Winter, Autumn & Spring Season. With anti-skid TPR sole, no deform and no scuff to the floor. Machine Washable. 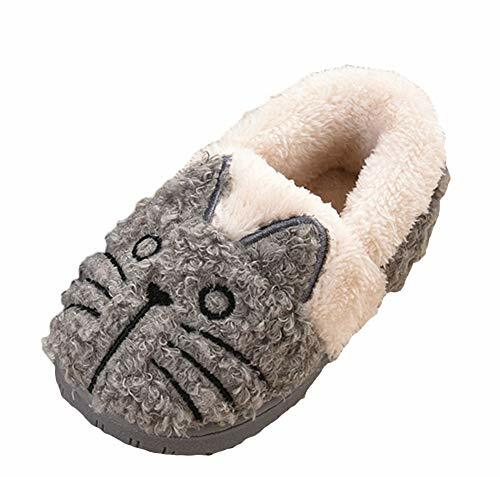 Great for cold winter days and nights, these ultra-comfortable slippers keep your feet toasty warm. Perfect for wearing in indoor house home bedroom, kitchen, dining room, office, study room, etc. An awesome Christmas/Birthday/Thanksgiving/New Year/Anniversary GIFT for male friends, father, boyfriend, colleagues,etc. SIZING: Available in size Small (US 5 -6), Medium (US 7 8), Large (US 9-10). 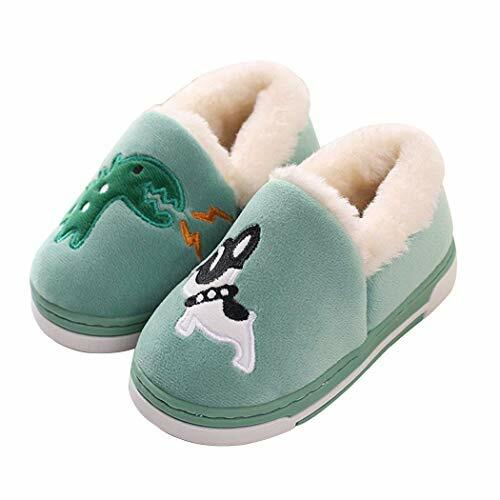 Slipper is narrow in width, if you have wide feet we recommend buying a size up. ANTI SLIP SOLE: The textured bottom grips to the floor preventing you from sliding or slipping. 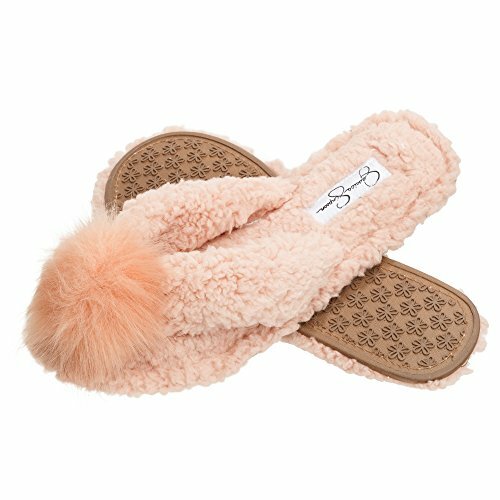 STYLE: Slip on, thong style, scuff slipper with a fluffy pom pom. 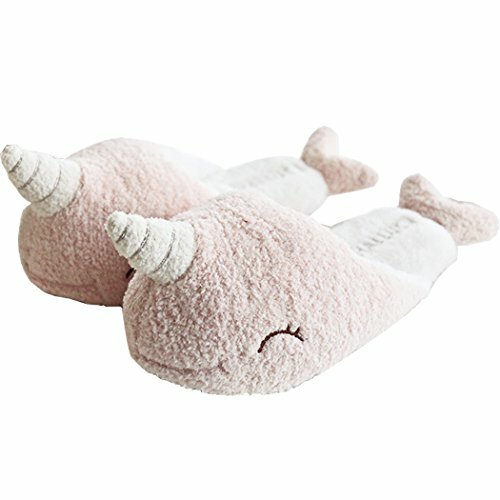 Great to use as a house or spa slipper. Plush, thick cloud-like cushion provides ultimate comfort. Available in colors Ivory and Pink. CARE: Hand wash with cold water. Air dry and dry flat. 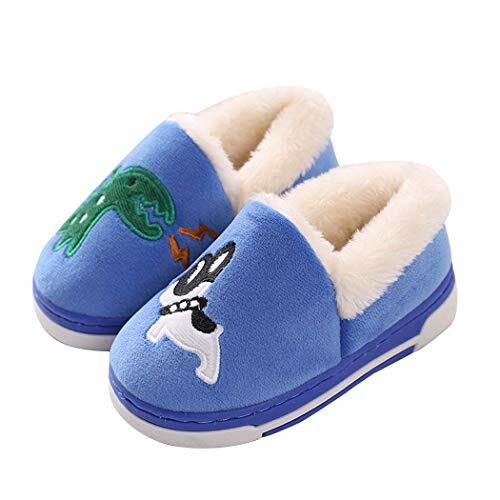 ELEGANT FlLEECE UPPER: Premium Fleece Upper decorated with Halloween style pattern makes a pair of cozy and interesting slippers and also a perfect gift for family and friends. FIXED SHOE SHAPE: Fixed shape provides good support to your feet from all directions and it's good premium quality prevents it from deform. 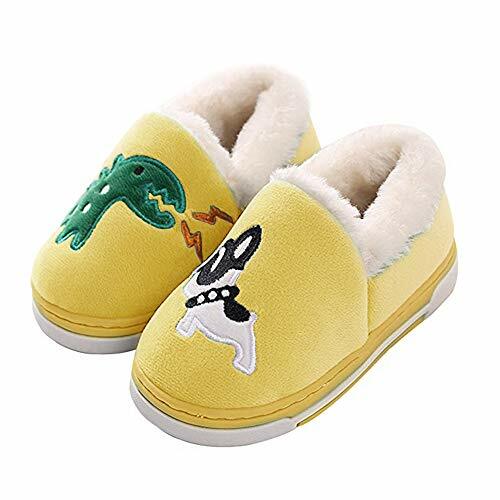 ELEGANT FLEECE UPPER: Premium Fleece Upper decorated with Halloween style pattern makes a pair of cozy and interesting slippers and also a perfect gift for family and friends. SOFT SUEDE SOLE: Quality soft sole is waterproof and anti-slip absorbs noise while walking on the floor. The material itself also provides protection for the floor from scratches. 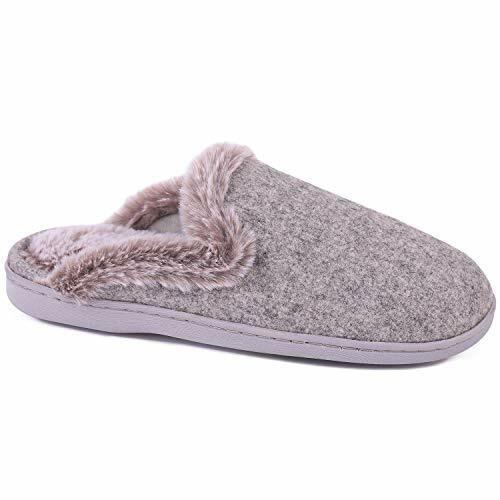 FUZZY & COZY SCUFF SLIPPERS - Warm woolen upper plus soft fuzzy faux bunny fur lining, perfect for girls or ladies who love fancy and warm feet. Breathable fabric wicks away moisture quickly after a long day walking or a hot shower. Features pure solid color can best pair with your pajama. CUSHIONING & SUPPORT - High density 70D memory foam cushions your every step for ultimate supportive comfort and feels like ergonomic pillows under your feet. Multi-layer sponge and EVA insole absorb shock to reduce muscle fatigue and make you truly relaxed when slip on these fluffy clog scuffs. 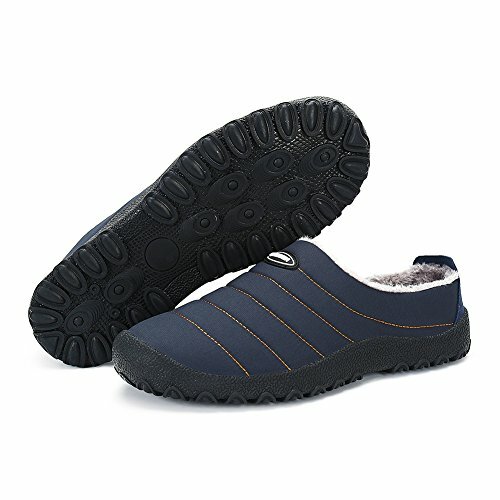 NON SLIP RUBBER SOLE - Durable & lightweight outsole provides non skid traction and indoor & outdoor versatility. So you can wear them freely at home in living room or bedroom. You can also step outside the house to fetch the morning paper in garden or check the mailbox without switching shoes. PERFECT GIFT CHOICES- Available in 2 colors, light gray, nice beige, perfect for women of all ages and lifestyles. They are great gifts for girlfriend, wife, mommy, daughter or your loved ones who would like to refresh her daily family look. Also perfect for bride, lady, travel and holiday wear. 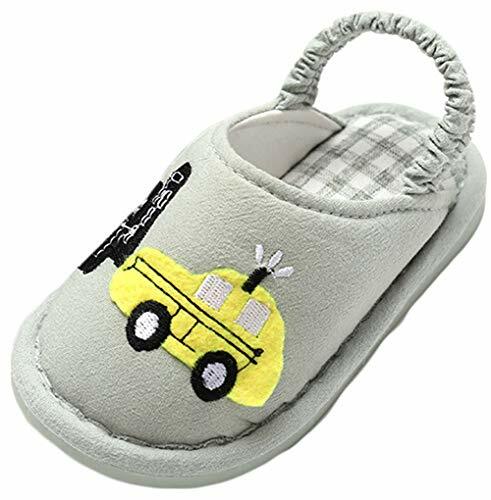 SIZING & CARING TIP - These casual bootie slippers come in 4 sizes (size 5-6, 7-8, 9-10, 11-12) could fit all standard, slim or wide feet. If you are between sizes (such as size 7.5, 8.5, 9.5, etc. ), please get the next size up. 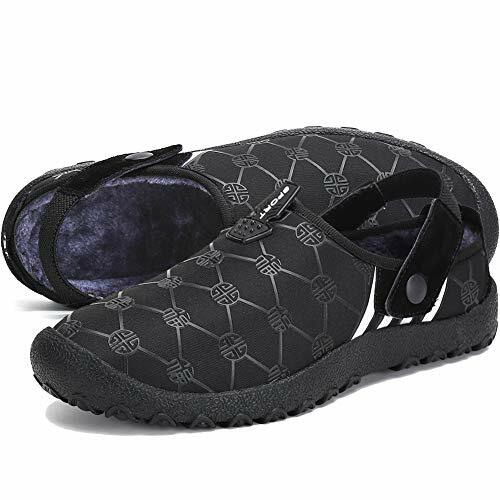 These comfortable clogs are also machine washable, which makes caring for them easily. 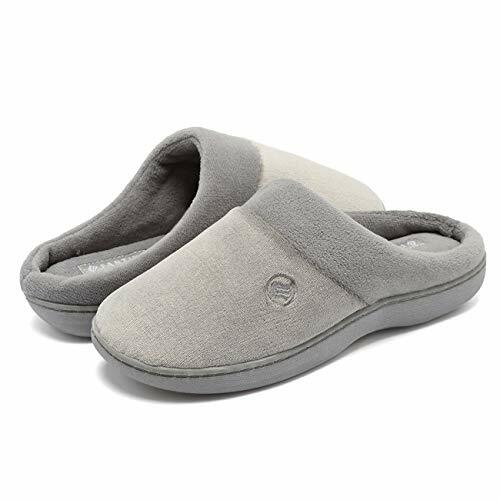 COMFORTABLE: These girls slippers own comfortable and soft memory spongeinsole that really molds to your feet and retains the shape, makes you feel like you're walking on a soft cloud and velvet will enhance warm-keeping of your foot. 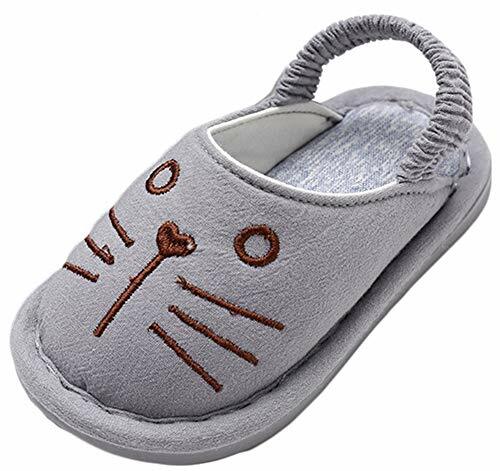 COZY LINING:The lining on these cute slippers are made of high-quality moisture wicking terry material,have good breathability to make sure your feet stay dry and odorless, these childs slippers are comfortable and won¡¯t cause your foot skin irritation and can keep warm enduringly. 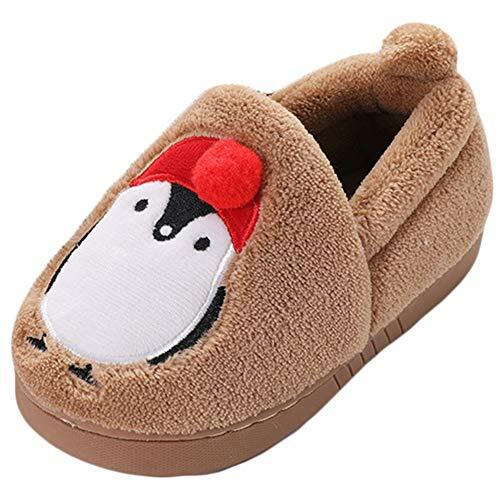 AFFINITY: The surface of these kid winter slippers made of selected velvet fabrics, xquisite workmanship, softand comfortable, no irritation to theskin and not easily deformed. also the thick fabricpreventing from accidental drops and scratch. 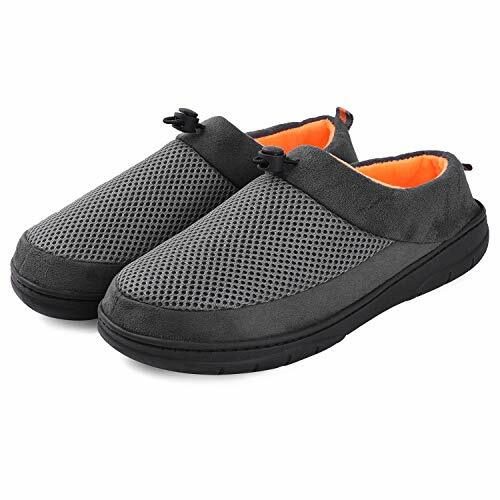 NON-SLIP: The Non-slip shoe's use environmental friendly and waterproofpvc sole, full of resilience, the irregular anti-slip textre at the bottom ofthe sole is non-slip and wear-resistant, which better protects the child's safetyThe sole material is not easy to deform and odorless. 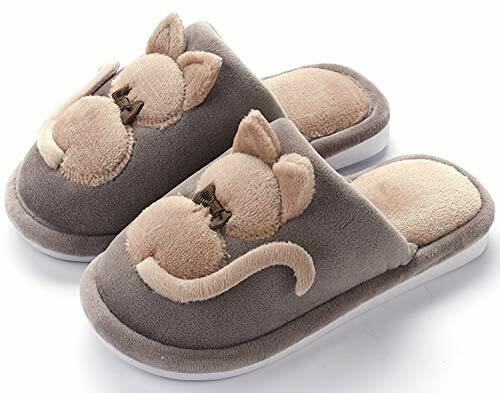 QUIET: The girls winter slippers sole also comes with excellent noise reducing qualities, will not damage floor or make big noises, making it impossible for you to disturb your family while they're resting. 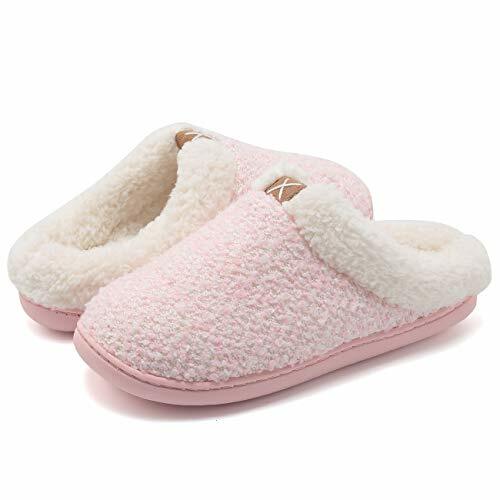 COZY & BREATHABLE UPPER: Waffle knit upper and soft plush inner, absorb moisture and prevent odor even during warm summer months, and keep your feet warm and comfortable on cold autumn and winter nights. 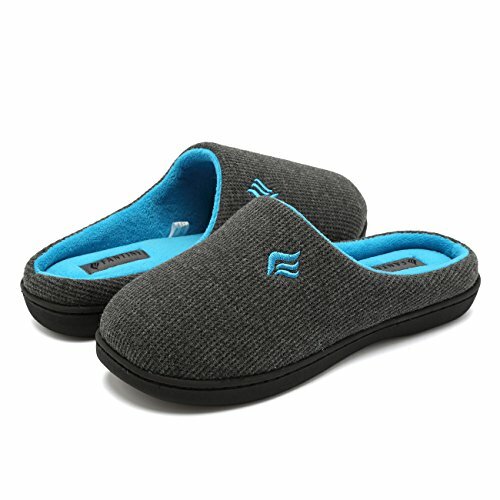 SUPER SOFT TERRY: Super soft terry delivers a new wearing experience, these slippers will keep your feet warm, comfy and dry on cold autumn and winter nights. 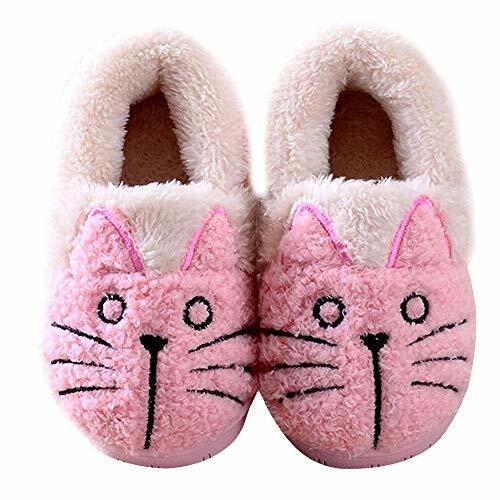 FASHION STYLE:The slippers are fashionable in appearance, display in different colors, fashionable and generous, and the style is very special. They are very attentive in the workmanship of the products, and the quality is very fine. 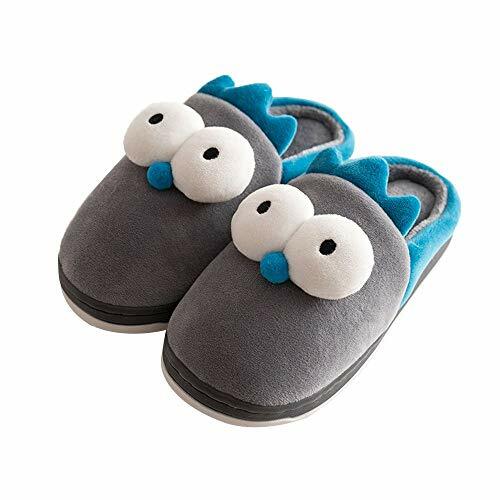 KEEP WARM & COMFORTABLE:The shape of the slippers is fixed, and it is not easy to deform, more suitable for the streamline of human's feet.it hard to slide when you are walking or do something else. Bring warmth to your feet whenever and wherever possible for winter. LIGHTWEIGHT & NON-SLIP:This outdoor shoes very environment friendly and waterproof thermo plastic rubber sole offers you an anti-slip protection of the sole increasing friction. The sole material is not easy to deform and environmental protection, without peculiar smell. It also does no harm to any floor surfaces including wood and tile. EASY TO CLEAN: Cleaning this snow winter shoes, you just need to scrub the upper and insoles, then put it in the sun. It can easily get rid of the smell and quick-drying. 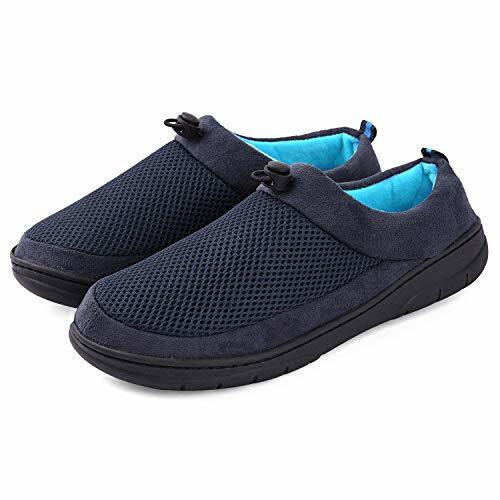 OCCASION: The antiskid shoes with fashionable and practical design is much suitable for outdoor and indoor, and this slip-ons can be used as the perfect home shoes or holiday gifts. 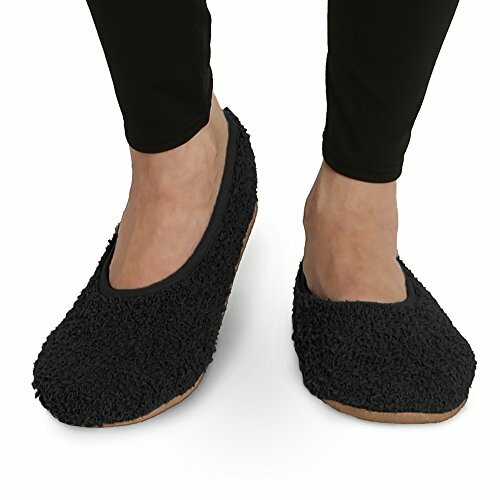 COMFORT - Our luxurious house slippers are built for comfort- foam insoles and faux fur lining make for the ultimate slipper experience. 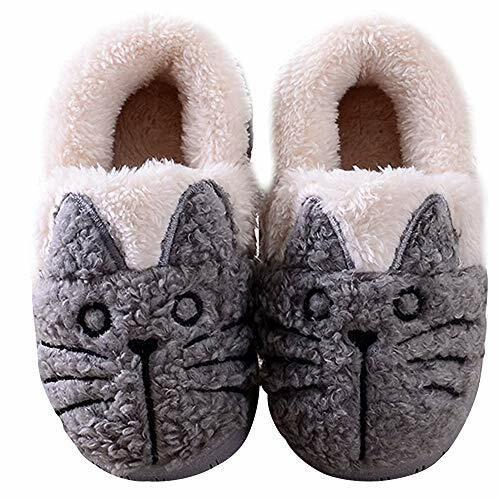 Great after a long day of work, cozy during a cold winter evening and functional for lounging around during the holidays. 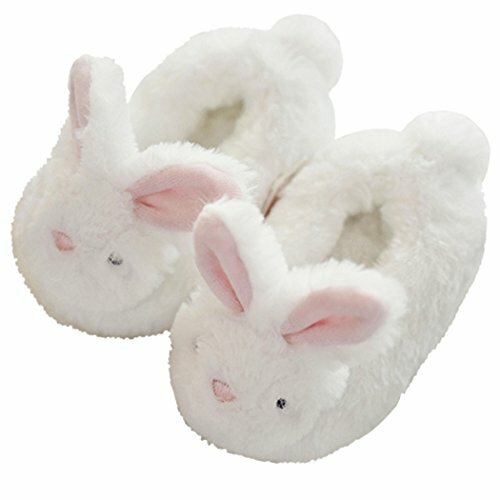 Slip them on, kick back and enjoy the amazing comfort of these slippers. 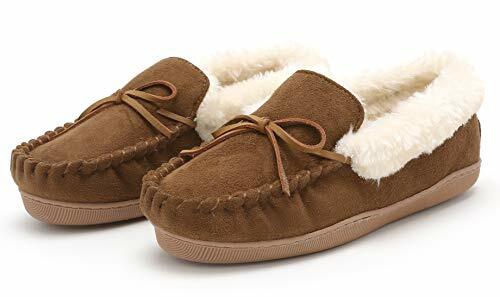 STYLE - Designed with the modern aesthetic in mind, we've taken the classic moccasin slipper and updated it with cushioning foam and soft plush faux fur - all the comfort without sacrificing style. The Pembrook slippers are so stylish, you can wear them even with guests around! 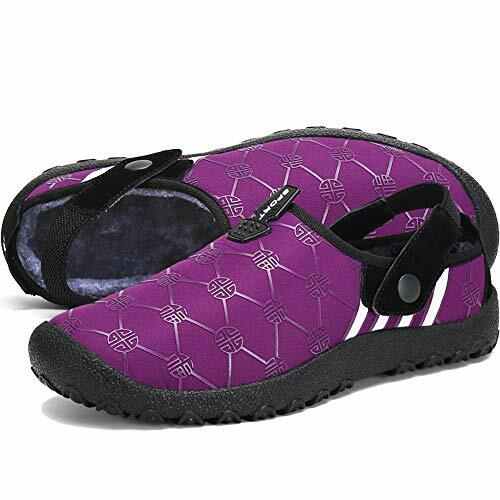 DURABLE -Pembrook slippers are comfy enough for staying indoors and sturdy enough to bring outdoors. The non skid sole is thick enough to protect your feet for a quick trip outside, but gentle enough that they won't scuff your floors. If they do get dirty, no worries, they are Machine washable. 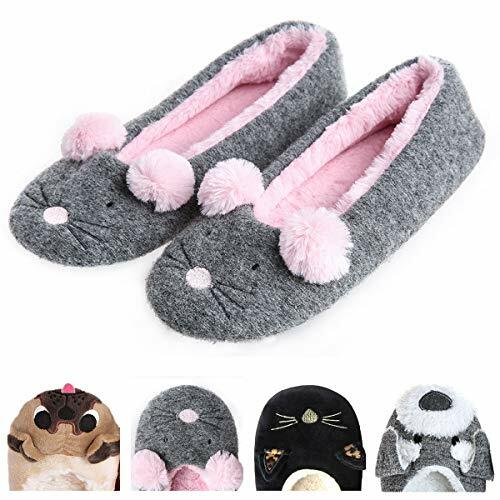 Unique Design: Super cute mouse or cat with ears design makes your slippers stylish and full of love! Ultimate Comfort: Superior soft fleece fabric, featuring ultra skin-friendly, lightweight, comfy and breathable. Memory Foam Insole: Soft memory foam insole provide unsurpassed cushioning and a customized fit. Soft TPR Sole: Quality durable sole is waterproof and anti-slip absorbs noise while walking on the floor. The material itself also provides protection for the floor from scratches. Occasion: indoor, outdoor, bedroom, living room, garden, spa, office, apartment, hotel and other daily use.